We like a good list here at TVGB. You can have a bit of a laugh with a good top ten and we always try to choose themes that aren’t overdone. With this in mind, I decided I didn’t want a Christmas this year and thought I’d compile a top 40 instead. There was absolutely no way in hell I was doing this on my own so I enlisted a few of my teammates and asked them for their top 10 achievements they know they’re never going to be getting. I’m going to do mine as well, obviously. I’m not entirely lazy. There are a few rules I’ve set to make this little endeavor a bit more interesting. Firstly, these have to be achievable trophies, this isn’t a list of achievements that nobody can get, so games with closed servers or bugs preventing that 100% completion score doesn’t count. My second rule is that these have to be games that you genuinely love and would want to play in their entirety. I think it’s a bit flaming obvious that if you don’t like a title you’re not going to sit and slog through it looking for trophies. Lastly, I’ll be wanting to know why. The whole point of this is that something I could get without thinking might completely elude one of my teammates and vice-versa. These are of course our own personal lists of gripes and frustrations. If you managed to get any of the achievements in this list with your eyes closed; well done, good for you. Please leave snarky remarks out of the comments section; you’ll have your own list of bug-bears as well. That’s enough random rambling from me. Let’s get on with our list of trophies and other grubbins that we’ll be getting on the same day we go to see the pig migrations. These lists aren’t necessarily in any specific order and aren’t system specific. Enjoy! Editor’s Note: Since a top 40 is a high number list, we’re starting out with Alex’s 10 choices for Part One! Considering I’m behind this mess, I suppose I’d better be the first one to get some stuff off my chest. My list could have been a top 50 just on its own. As we all know, I’m a roguelike addict and that makes the achievements attached to these games particularly hard to get. There are two reasons for this. Firstly, all roguelikes are hard as nails and it’s going to take a certain amount of skill and luck to obtain anything. Secondly, and this is more important to achievement getting, is that by nature they’re random. You want to try and find and kill a specific boss or creature when you don’t know where it’s going to be or if it’s going to show up on your current run at all. I could do a top 10 on roguelikes alone but that would be cheating, so I’m going to start with just the one and it’s going to be for my favorite game in this genre for 2018. Enter the Gungeon is a brilliantly addictive roguelike bullet hell. Yeah, let’s take something that’s already hard and just spray projectiles all over the place for fun. This game is insanely difficult and also really addictive. With this in mind, I don’t have too many achievements in the bag but I’m having a lot of fun trying and I can probably get most of them with a bit of luck and practice. Then there’s this little bugger … All you have to do to get the Lead God achievement is get five Master Rounds in a single playthrough. On the surface this doesn’t sound too bad; that’s only five pick-ups, right? Right! Well, let’s put this a different way. To get a Master Round , you have to beat a boss without getting hit. Coming back to this being a bullet hell, this is hard enough with minions. 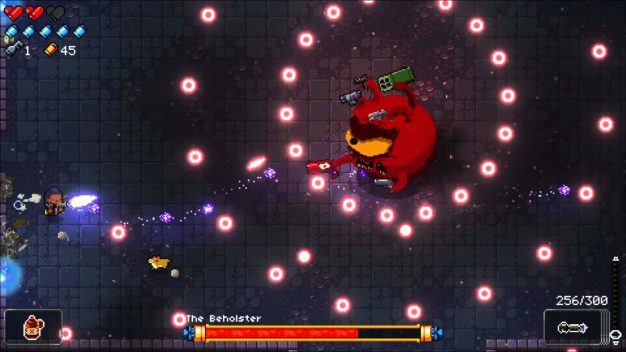 Bosses spray lots more bullets. So, we’re being asked to survive five levels in one run and kill five bosses without getting a scratch from any of them. I’ll get this one when hell does a weather report showing snow. Let’s just hope his aim is off … a lot off. Put simply, I do. This achievement is asking us to complete the final level of the game wearing only standard gear. 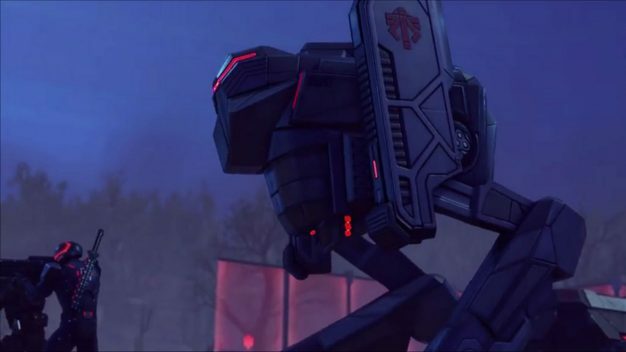 The thing you learn very quickly in both the XCOM games is that if you aren’t upgrading your gear quickly enough, you’re going to get blown to bits by everything by the time you are a couple of hours into the game. This is a title that needs you to progress or you’re going to die, period. Not giving you any spoilers, the last level throws every alien and his dog at you. You’re going to come across everything you’ve met in the game and lots of them. A Sectopod (bloody big alien controlled walking tank) can paste a fully armored marine with its eyes closed. One Sectopod , if it gets lucky, can decimate a squad. Therefore, you might be up against three of these things in one go with just an assault rifle, frags, and Kevlar. I’m not even going to attempt to contemplate that one, much less try it out. I’m sorry. You want me to take it down with what? 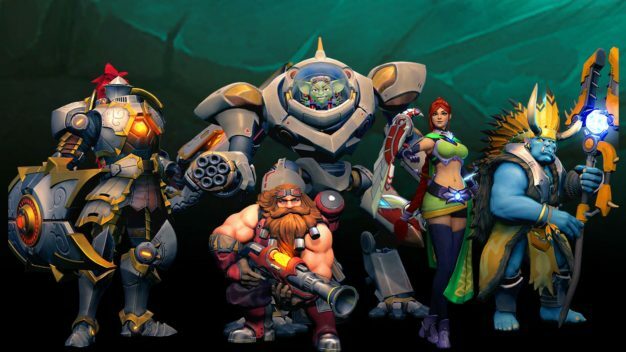 Paladins? I hear you say. He’s playing an FPS arena thingy? I’m not all strategy, you know! Yes, I like taking my frustrations out on other players now and again and this is one of my favorite ways to do it. The big thing I love about this game is that the community isn’t (for the most part) horrible. The thing that puts me off League of Legends and all its MOBA buddies is the “git good or I’ll make nasty comments about your mum” attitude of at least 30% of the players. If you’re good you’re cheating, if you’re not you’re just a target for abuse. I haven’t thus far found this in Paladins and it makes the game fun. You know “fun,” that thing these games are supposed to be? Right, enough ranting and onto our little mischief maker. Last One Standing is another one of those achievements that on the surface doesn’t sound all too bad. To get it, you have to be the only player alive at the end of a match. This would take a monumental amount of luck to pull off. Unless you ask all of your own teammates and those of the opposite team to collectively drop dead at the exact same time just as the match is finishing, something nobody in their right mind is going to do, you aren’t getting this trophy. I’m not even going to try and calculate the odds but it’s a damn sight more than one in ten. Just lie down and be really quiet for like two seconds at the end of the match. This one is more of a case of I can’t be bothered doing it than I simply can’t. To get it, you have to liberate 30 slaves in 180 seconds while riding a Caragor. This would be doable but for the time limit, the fact that Caragors like running up walls and not doing what you tell them to and, yeah, the time limit. This is one of those achievements where I think, “I can do this but I’ll leave it till last,” then never get round to it. 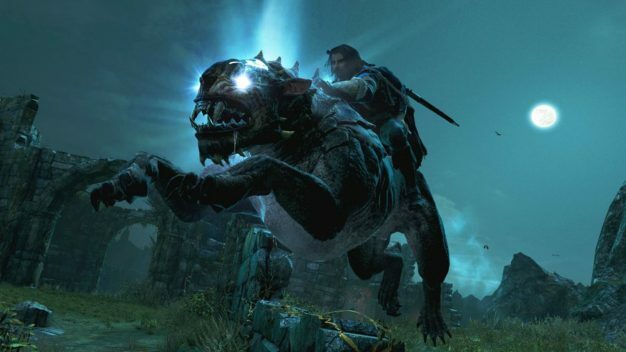 I love the Middle Earth games, the beast riding element I like less. I get why it’s there; I just don’t see that it adds a great deal to the game. I suppose this might still be a maybe but I know what I’m like so it’s still going on this list. That is NOT a kitten! I promised I wouldn’t fill this list with roguelikes but I’m sorry there is at least another two on here, including this little nightmare. 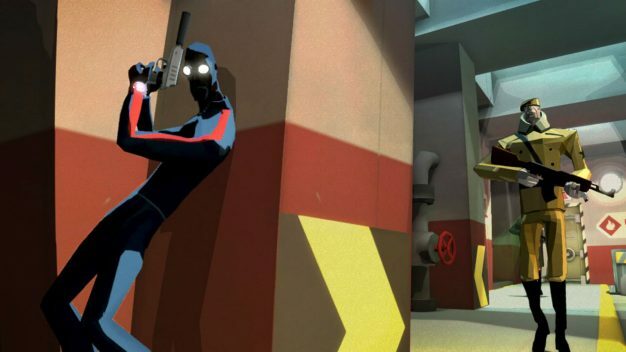 Counterspy is an absolutely brilliant little stealth game. As with all games in this genre, the levels are randomly generated and this means you can’t figure out where guards are going to be placed. This achievement wants you to complete the entire game without being seen by a single enemy. This could potentially be possible with a lot of luck but this isn’t a linear game, either. If you don’t know exactly where everything in every room is all the time, there is a good chance of someone wandering up behind you. I’m only missing two achievements for Counterspy. This one and the one for completing the game on all difficulty levels. I think with a lot of practice I can complete the game on everything. Not being seen feels like more a matter of luck than strategy and we all know what luck does to our chances of getting achievements. Just pray he’s walking with his eyes closed. This is going to be a pretty short entry. This trophy appears when you complete the entire campaign in co-op. On account of not liking people, I generally don’t play co-operative games. I might sit through the odd afternoon and play something with a mate but never to the extent of completing a game beginning to end. No friend time, no trophy; simple. There is also the fact that I rarely have the time these days to breathe, let alone complete anything from start to finish. Basically, this one is just a no. This sort of thing is always easier in a group. Nice and easy, this one. 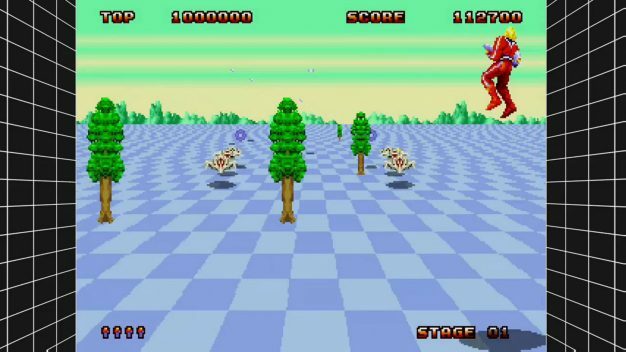 All you have to do is reach a score of 5 million points in Space Harrier. So … this is a Sega Mega Drive game (Genesis for you foreign folk) and that means it’s hard. 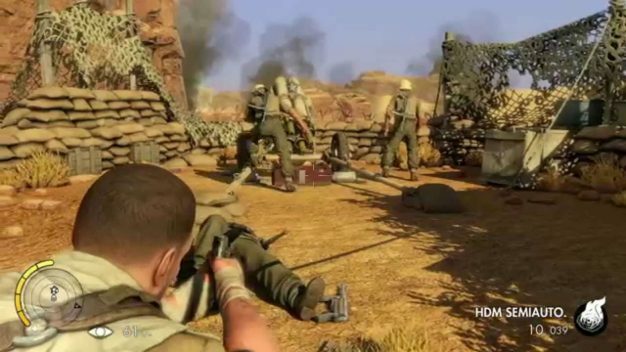 We’re going back to a time where saves were a bit of a dream and games weren’t very long. This also started its life in an amusement arcade. Arcade games were made even tougher to make you spend more money. It’s also a shooter that requires twitch perfect accuracy. Add all of these things together and the chances of getting that wonderful high score are pretty slim; for me, anyway. I couldn’t have gotten 5 million when I played it the first time around and my coordination was better. The odds of it happening now are slimmer than me giving birth to a herd of baby elephants. This trophy is annoying for several reasons. First, while achieving this trophy does not require you to get all the powerups in one single playthrough, it also does not keep track of the powerups you have purchased before. With around 11 powerups and the shops having three random ones every visit, these powerups become the luck of the draw. Second, these powerups, of course, require you to purchase them, and some of the powerups are more costly than others. The game’s frustrating system doesn’t allow you to carry over unused gold coins collected in every playthrough. For me, I have come across that one or two powerups that I need from the shop but don’t have the funds to purchase them. But wait, there is an option to steal these powerups if you’re in poverty, but NO, the trophy only will pop for legitimate purchases, not stolen ones. Yeah, okay, I can see where he’s coming from, but if you play this game a lot, I think this is a trophy that you’ll just stumble upon eventually. I’m not saying it isn’t hard, nor am I saying that it won’t be a colossal pain in the behind. I do think it will happen. This is coming back to my point about everyone being different. For me, however, the No Man Left Behind trophy is the bigger evil. To get this one you have to complete the entire game, all the missions (which are optional), and save everyone in danger, including cats. I almost got this on sheer fluke then realized I’d managed to miss one now southern fried moggy. For all the reasons I’ve been mentioning, I doubt I’ll manage this again. 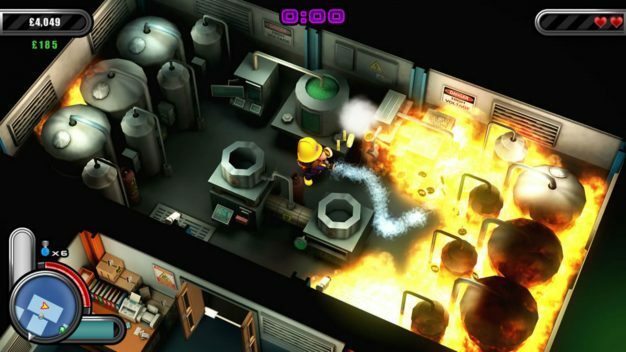 The layout of every level changes each time you play and that means the people that need saving, as well as pets, change their positions, as well. Some rooms are a lot more dangerous than others and you have things like backdrafts to deal with that can toast you, much less anyone else in their vicinity. I’ll have fun trying to get this one but I highly doubt it will ever happen. 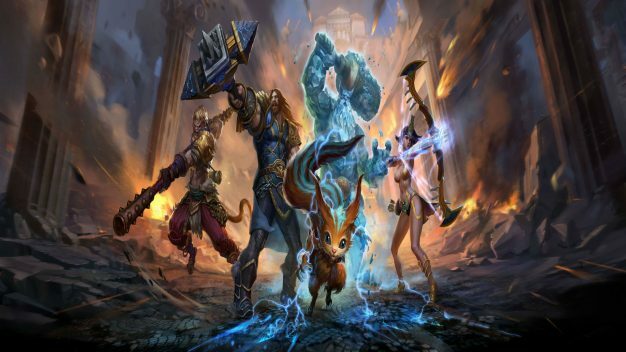 SMITE is another game by Hi Rez and I think I just really like what they’re doing because it’s another co-op. The idea of playing mythical deities and blasting other gods and goddesses to bits really appeals to me. This one wants us to get 20 kills in a single match and this is actually fairly doable if you’re semi-good at the game. The thing that throws the boot in here is that you’re only allowed to die once. Unless you get all those lovely frags and then go and hide in a corner, the odds of everyone on the opposing team not wanting to get their own back are slim to none. This is going to make living through the entire match without getting blasted really difficult. This is one for the lucky or professional players. I am neither. 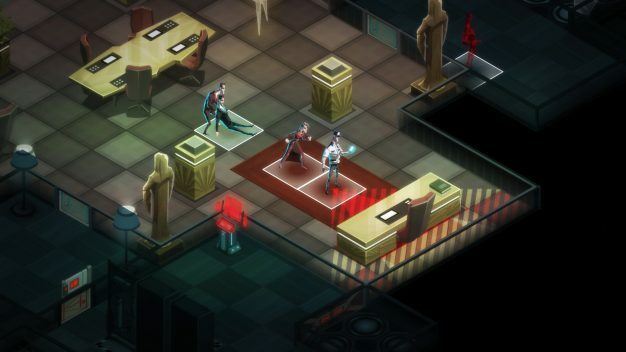 Invisible Inc. is another game on my favorite list of things to get killed a lot on. This one sees you taking a series of spies with different abilities into randomly generated, heavily defended complexes to complete varying missions. This is a stealth game which makes it hard to begin with. This is also a game that gets harder the more mistakes you make. The AI in Invisible Inc. is not stupid. If you get seen, you’re in trouble and guards will raise your threat level. If this gets too high, you’ll be facing all kinds of heat and seeing your agents gunned down over and over is a bit traumatizing. The Acceptable Host achievement just wants you to complete the whole game on the hardest difficulty setting or Expert Plus. To put things in perspective, this game does not have an easy setting. The base level of play is hard. The normal setting is hair-pulling. The Expert Plus setting is asking for necessary psychological treatment. In short; I’m good but I’m nowhere near that good. As much as I love trying to get better, this achievement is as likely to appear on my “got” list as I am to win a Nobel Prize. So, there you have it. 10 little thorns in my gaming side. This, however, is just me. Let’s see what the others have to say, shall we? I guarantee this is going to be interesting.